Are you repurposing content to get the most from your investments of time and money? Producing engaging content is the #1 challenge for marketers. Getting it right often requires a whole team of people, from data analysts and content strategists to the actual content creators – the subject experts, writers, designers and editors that produce the final product. None of that comes cheap. And when you consider how many content marketers are a team of one, content creation looks like even more of a high-wire act. The good news is while good content does take work and time and skill, it’s not a magic act. And you don’t have to keep creating content that gets used only once. The smartest content marketers have systems set up to reuse or “repurpose” their content. Everything they publish gets reformatted or split it up into smaller content chunks. So if you’ve been struggling to create enough content, maybe it’s time to give yourself a break. Start thinking of your content as more modular, and less fixed. By the end of this post, you’ll have lots of ideas for how to repurpose your own content. You’ll also have seen several examples for how other companies have repurposed theirs. We’ll look at who recommends repurposing, and what their suggestions are for it. Then we’ll review some interesting case studies of content repurposing. And we’ll share how we repurpose content at Act-On. Repurposing content has been going on for a while. Like most things, it works best when there’s a specific system set up for it. The marketers that make repurposing a habit tend to do it more often, and more effectively. Content marketing experts like Jay Baer, Ann Handley, Lee Odden, and Joe Pulizzi all praise reformatting on a regular basis. They encourage content marketers to do more of it. Each one of them calls repurposing something a bit different. Jay Baer calls it “atomizing” your content. Lee Odden calls it creating “modular content.” Ann Handley calls it “reimagining” content. Seeing that hopefully gives you an idea of all the formats and containers content can fit into. As you can see, there’s no reason to think of content in a fixed state. It clearly wants to be fluid and changing. That’s just good chemistry. To give you an example of what this level of reformatting and repurposing might look like, consider Buffer’s experiment from earlier this year. They went on a one-month content creation fast, and redirected their energies to repurposing and refreshing existing content. One of the posts they republished made Medium’s Top 20 for a day, which resulted in 2,888 page views. Three times a week, Jay records a five-minute video for his “Jay Today” show. He doesn’t write a script for this video. He doesn’t rehearse. The video is just a short talk from Jay about a marketing idea that’s on his mind. But that one video is systematically reformatted into 11 different content components. And it doesn’t end there. They can still create SlideShares presentations, infographics, podcasts, round-up versions of all of the above, and send it off to marketing partners. All from an unscripted five minute video. For Act-On’s content team, we’ve adopted what we call the Rule of Four. For every piece of content we create, we want to leverage it at least four times in four different formats. So that eBook becomes a series of blog posts, as well as one or more videos, and stats/quotes from the eBook are used in social media, and we wrap it all up with a with a catchy meme, GIF or podcast. Or we reverse that order. 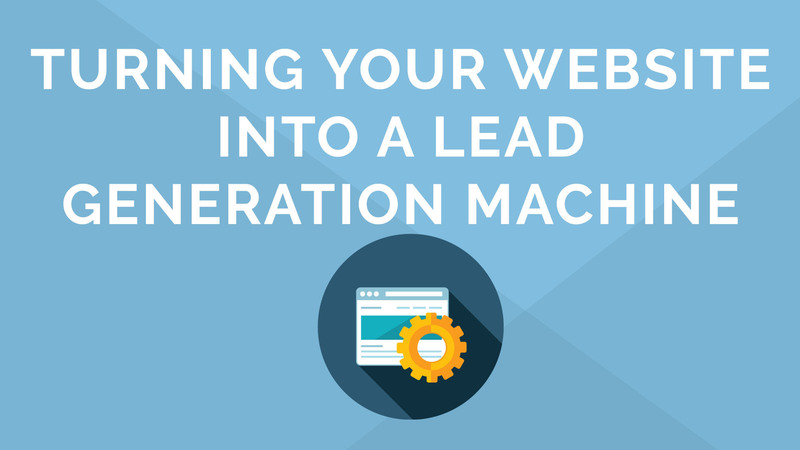 For example, one of our core demand generation tactics are webinars. Duh. They are probably every B2B marketer’s favorite lead gen activity. And like most folks, we reuse them as on-demand videos. We then go an extra step and edit down that 45-60 minute webinar into a 15-minute version. I will then go one extra step and edit that 15-minute on-demand video into a 1-minute, quick tip video that we can share on social and that can live on our YouTube channel. So that excellent webinar you had continues to produce new leads and nurture existing ones months after the initial presentation. And I haven’t even mentioned that the content in those webinars came originally from blog posts, eBooks, or research reports. Another example are our Rethink Marketing podcasts. In these, we interview industry leaders and other experts about a hot topic, or how to get something done (such as leveraging marketing automation for your trade show or event). We’ll then transcribe those 20-30 minute episodes and publish those in one or more blog posts. And for some noteworthy guests, such as Scott Brinker or Larry Kim, we’ll create SlideShare presentations with quotes from the interview. How will you repurpose your content? There are almost endless ways to reformat, re-target, and recycle content. If you’ve been publishing each piece of new content in only one place, in only one format, you’re definitely doing more content creation work than necessary. Start small with repurposing if you want. Aim to repurpose maybe only your top 10% best performing content. But definitely begin to build simple processes for reformatting your content. Once a system is in place, you’re more likely to do it – and repeat it.